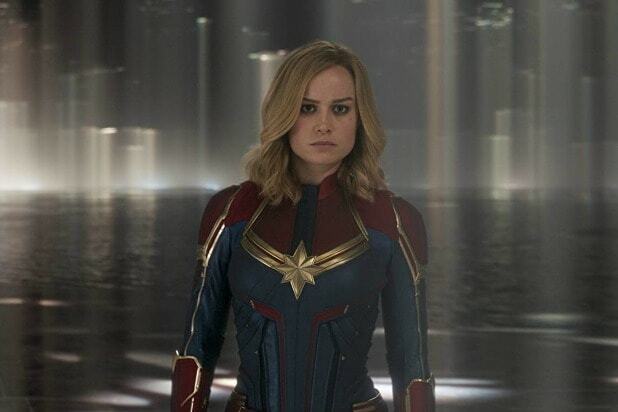 'Captain Marvel': Where Was Carol for 25 Years Before 'Avengers: Endgame'? By placing it on the calendar less than two months ahead of “Avengers: Endgame,” Marvel Studios was seemingly setting up the “Captain Marvel” movie to have some kind of significance in the greater story of the Marvel Cinematic Universe. Which, then inspired a lot of questions coming into the movie about how exactly it would contribute beyond just introducing Carol Danvers as a character. But there are two questions that are most immediately pressing. Where the hell has she been? And if Nick Fury (Samuel L. Jackson) knew her back in the day and is able to call her for help, then why hasn’t he brought her in already for one of the other world-shattering calamities our heroes have had to stop? And yet after watching “Captain Marvel” we still don’t know the answers to those questions — they’ll have to come in “Avengers: Endgame” in April if they do at all. But just because we don’t know that doesn’t mean we can’t make some guesses. So at the end of “Captain Marvel,” there are two relevant scenes. The first sees Carol return a pager to Fury that she took from him earlier in the movie, but with some modifications. Now, she says, he should be able to contact her if she’s within “two or three galaxies” from Earth. She tells Fury he should use it for “emergencies only,” though she doesn’t specify what constitutes an emergency. And that’s that. And in the second, she uses her newly-unlocked powers — which it turns out she received from the Tesseract, AKA the Space infinity stone — to physically move the star cruiser that carrying Skrull refugees out of our solar system and toward an unknown location. And that is also that. Carol’s explanation for the pager does provide a potential reason why Fury didn’t called her in to help when Loki (Tom Hiddleston) invaded New York with his Chitauri forces, or when Ultron tried to kill everyone on Earth — maybe he did try to use the pager but she was somewhere the pager couldn’t reach. That is somewhat more plausible than it may initially sound. The Kree Empire is actually based in the Large Magellanic Cloud rather than the Milky Way, and the Kree are clearly capable of traveling to other galaxies since they do so in “Captain Marvel.” So in order to take the Skrull refugees someplace the Kree can’t get to them, they would have to go beyond the Milky Way. And maybe they even ended up traveling to a different plane of existence to find shelter, like the Quantum Realm. Despite the totally out there way it’s depicted in the “Ant-Man” movies, the Quantum Realm is in fact home to entire civilizations — in the comics it’s called the Microverse and it’s more or less just another place in the universe. Though communication between our world and the Quantum Realm is clearly possible (as we see in “Ant-Man and the Wasp”), Fury’s pager may not be equipped for that. It’s possible that Carol could travel to the Quantum Realm because her powers in the MCU came from the Tesseract. If any Infinity Stone could allow travel to the Quantum Realm it would be the one that can open wormholes to anywhere in the universe. And I previously speculated that the film version of Carol Danvers might obtain some of the powers of the quantum-powered superhero Quasar, who is able to tunnel from our universe to a place he calls the Quantum Zone as a sort of shortcut when he’s traveling from planet to planet. That method of faster-than-light travel is not exclusive to Quasar in the comics — the Fantastic Four travels that way as well — and so the “lightspeed engine” thing that Mar-Vell was trying to use the Tesseract to create in 1989 could also work that way. You can read plenty more about why I think Quasar’s dimension-hopping abilities are relevant right here. As for why Carol wouldn’t have at least poked her head back in to check on Earth every once in a while, that would depend on what kind of adventures she got into while out wherever she took the Skrulls. We were vaguely expecting that the plot of “Captain Marvel” could tie into Thanos’ backstory in some way — both because Mar-Vell and Thanos were arch-enemies in the comics and because you’d think there would be a reason for placing this movie where it is on the calendar — it’s conceivable that Carol has some kind of run-in with Thanos while she’s escorting the Skrulls around the universe. Thanos’ Sanctuary is purposefully hidden in a remote corner of the cosmos, so Carol could try to hide the Skrulls there only to be met with a rude purple surprise. If that’s the case, then that bit of history would likely be explored in “Endgame.” But that’s really just a wild guess since “Captain Marvel” doesn’t hint at anything like that. But given how crucial the Quantum Realm appears poised to be in “Endgame,” Carol spending some time down there in this two-decade interlude seems like a distinct possibility. It’s easy to assume that this means Marvel had a specific reason for introducing her at that point in time. And, if you follow that thread, once they decided to set the movie in 1995 they would have come up with an explanation for where she’s been this whole time. Here’s hoping we’ll get one come April.